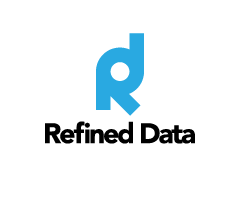 The Refined Course Field Editor allows administrators to customize their own Course Fields across the entire platform, within a particular category (or categories) or within certain courses.With this feature it is now possible to tailor your course settings to meet your needs instead of adapting to pre-existing fields. To create new categories, click on Add Category. Give each category a name and a weight. The weight determines what order the category will appear on the Course Field Categories page and on the Course Settings page. Weights consist of numbers from -10 (top of the list) to 10 (bottom of the list) with the 0 weight category in the middle. 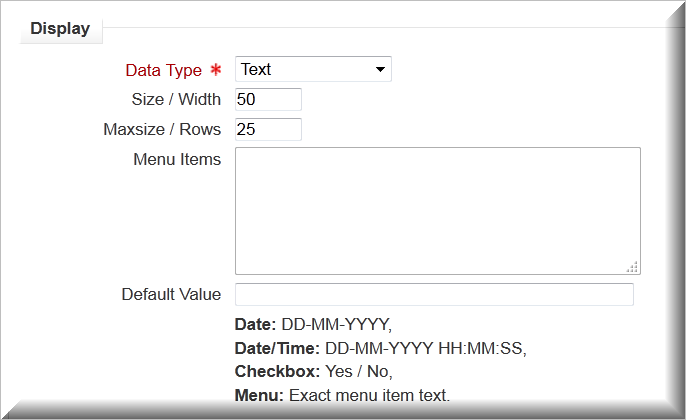 When adding a new category to the sample page shown, using -1 will place it in the list above Custom Fields. You can also change the name and weight of the category or delete all but one of the categories. In the General section, select the Category under which the field will appear on the course settings page. Determine the positioning within the category by defining the weight; a weight of -10 places the field at the top of the list, a weight of 10 places it at the bottom and 0 is in the middle. This reflects the order in which the fields are shown on the Course Field page and on the Course Settings page. The weight may also be defined to the decimal; for instance, a field with a weight of 4.0 will appear just above item 4.5. 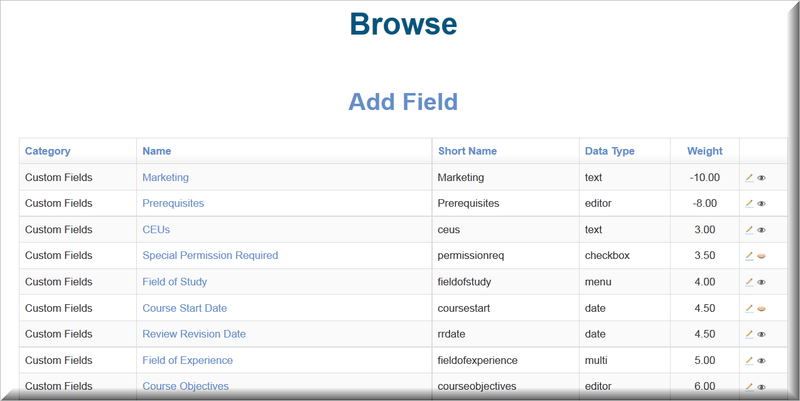 Define a Short Name, such as fieldofstudy,that will be used in the [[course#]] tag and in the reporting functionality and create a Name, such as Field of Study, that will display on the Course Field editing screen. The short name can contain only letters and numbers but never spaces or special characters. Moreover, some words cannot be used at all: see Reserved words and terms at end of this document. Text – A one-line area to enter a short message into. Text can be up to 50 characters wide and up to 255 characters total but this field is intended to be a much shorter message. Text area – a large area to enter text. The text can be up to 50 characters wide and up to 255 characters total. Editor – a large area where text can be entered in html format. This field offers different font types, colours, sizes and styles. Links, graphics and even videos can be added in the editor. The text limitations are up to 50 characters wide and up to 255 characters total. Menu of choices – in the Menu items box enter the menu choices, one per line; the end user can select one item using this option. Date – the date will appear in the following format DD-MM-YYYY. Date/time – the date/time format is DD-MM-YYYY HH:MM:SS. Checkbox – allows a choice of selected or not selected. Multiple Choice – in the Menu items box, enter the choices, one per line; the end user can select one or more of these items by using ctrl-click to select. In the Levels section select whether the field will be available System-wide, within only one or more Course categories or within one or more Courses only. You can select one or more categories or courses by using ctrl-click. Searchable – when selected the course field can be found using the LMS Search courses engine located on the front page. On Certificate – when this is selected, and the certificate set up to display, the field name and the contents will be populated on the course certificate in accordance with the weight the field holds. If this field is left blank on the course page nothing will be populated on the certificate. Required - the field will appear on the Course Settings page in red with a foot note saying that “There are required fields in this form marked”; you must specify a selection for the field or enter text before saving the Course Settings. Locked - the field’s value in the Course Settings of all existing courses can no longer be changed. Select which User role the field is restricted to. This determines which roles can see the information in the field. 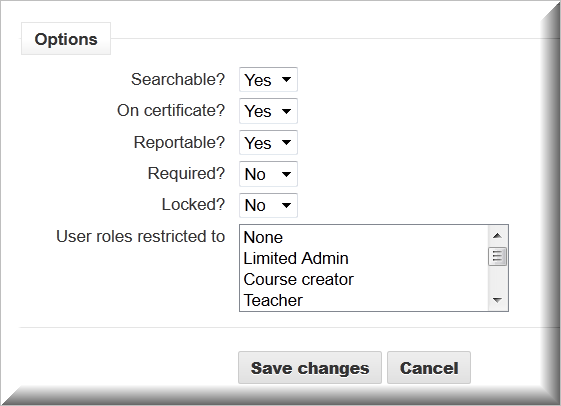 For example, you can specify that only Teachers or Course Creators can see a particular field. If you subsequently update the value of a locked field, only new courses will display the updated information. Existing courses will retain the original value set inside the course. Be sure to Save changes before leaving the Add field page. For information on how to use the Course Fields in Reminders or in a course, see the Refined Course Tags article.